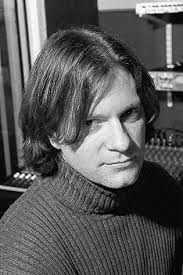 In 2005 I conducted my first ever interview with one of Madonna’s collaborators, Guy Sigsworth. Guy co-wrote and co-produced What It Feels Like For A Girl, the third and final single from Madonna’s Music album. “It was definitely the last song recorded for the album. I think that she heard the track quite late on and it was literally the last track done. At the time I was in Iceland doing stuff with Björk that was going to be the base of Vespertine. We just arranged that, as soon as I got back, we’d hook up. It was a joy that it happened so quickly and that lots of people loved it. I’m extremely proud of that song. It was a career high for me and I definitely learned a lot from working with her in the studio. There are definitely some artists that I have worked with who more or less come in and would almost like to fax you their vocals and go away and wait for you to give them their record and Madonna’s certainly not one of those people. I think she’s probably not appreciated even in musician circles for being very much a co-producer, being very much in there making the record. It’s very much her record, it’s not just that she sings over whatever Mirwais, or me, or William [Orbit], or whatever person does. I think that’s one of the reasons why she’s really quite brilliant. Before we did this thing, she invited me over and she was playing me some of the tracks of what became the Music album. She said something, which I thought was brilliant. She was playing me this stuff and I was hearing backing tracks by William and Mirwais and I have great admiration for both of them. In a funny sort of way when you’re a tech-y kind of musician yourself, you can listen to that and go, “Oh, that’s a great squelchy bass sound!”, or “God, I wonder how he did that?” But each time the main thing that knocked me over was that in the middle of all this kind of electronic scribble, she would plant this huge flagpole, that would be her and her melody and her vocal, that would commandeer the track and take charge of it and give it shape. I just loved it immediately. She said to me at the time, “I’m really good at simple”. “I do simple really well.” I said to her, “Yeah, but I think simple’s very hard to do. I’ve worked with a lot of musicians and complicated is actually easy and it’s easy to think that complicated must be better because it’s more. But actually simple is very hard to do and you’re really great at it.” I think that’s what she knows that’s what she’s got to give is, in the midst of this, she’ll find some huge simple centre that she puts to it. I think that makes it possible that the kind of noises that Mirwais, or me, or William come up with, that might otherwise only wind up on some obscure, left field, scratchy track, are in the pop charts. It’s because of her and it’s not just because of her fame. I think she gives the ideas the kind of focus and centre. very interesting! I love this blog! I spoke to Sigworth in feb 2004 at a Frou Frou showcase and he revealed to me that Nothing Fails was the very first track he had ever written but not produced. He explained that Madonna wanted to do a song with him, but was absolutely determined to produce the whole record with Mirwais, and although Sigworth was nervous about giving his song to someone else, eventually he was very happy with the final result. Look out for more from my extensive interview with Guy Sigsworth - as well as more about Nothing Fails from one of the other co-writers! what we need is to talk about m-u-s-i-c ! Couldn't agree more! It makes the people come together - yaeah! Looking forward to your other posts about Madonna as a musician / producer / songwriter. Hey Mo - thanks for your comments - I did this blog for people like you! Hopefully you'll learn more about those early years over the coming months. Stay tuned! because her melodies are all her! In This Life-the quality is such that both the Music of the Beatles and Madonna will live forever. Let's all Live to Tell and follow both Rock Acts' example! This blog is brilliant!! THIS is the stuff worth talking about . The actual MUSIC and not what someone is wearing or who they are dating! Thank you so much for this blog! !